An aneurysm occurs when the wall of a blood vessel weakens and balloons outward, making the blood vessel abnormally large. The larger the vessel becomes, the greater the risk of rupture – a serious emergency. Often there are no symptoms of an aneurysm until a rupture occurs. 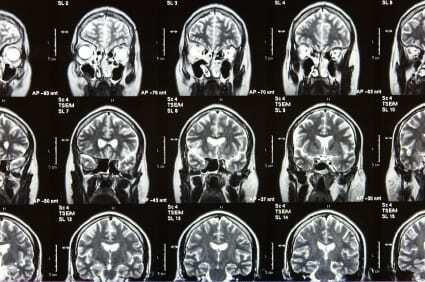 Brain (also known as intracranial) aneurysms are relatively common; up to 5% of people are thought to have one. Only a small fraction of these will ever rupture, however. Several genetic variations have been associated with increased risk for brain aneurysms. The research group that found many of the first SNPs now reports new results from a larger study, comprising more than 15,000 Europeans and almost 5,000 Japanese people. The study, published online this week in the journal Nature Genetics, implicates three new areas of the genome in brain aneurysms. “When combined with traditional risk factors such as gender, blood pressure and smoking, these findings form the basis of future work aimed at preclinical identification of individuals who are at high risk of intracranial aneurysm formation and rupture,” the authors write. Many of the variations associated with increased risk for brain aneurysm are in or near genes involved in cell replication and differentiation. The researchers suggest that perhaps part of what causes an aneurysm is disruption of the normal cell proliferation process, or a change in the balance between stem cells and more specialized cell types. It’s known that siblings of people with brain aneurysms are at fourfold increase for the condition. Based on this fact and the effect sizes of the SNPs identified or confirmed in this study, the researchers think that their findings explain between three and five percent of the familial risk of brain aneurysm. This means that there is still a lot to learn about both genetic and non-genetic risk factors for the condition.